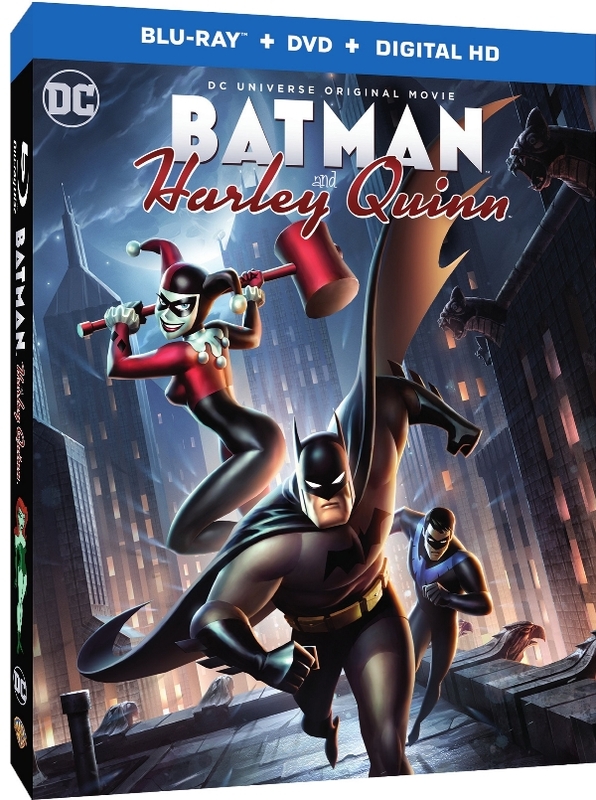 Batman And Harley Quinn Blu-Ray Review - Are You Screening? 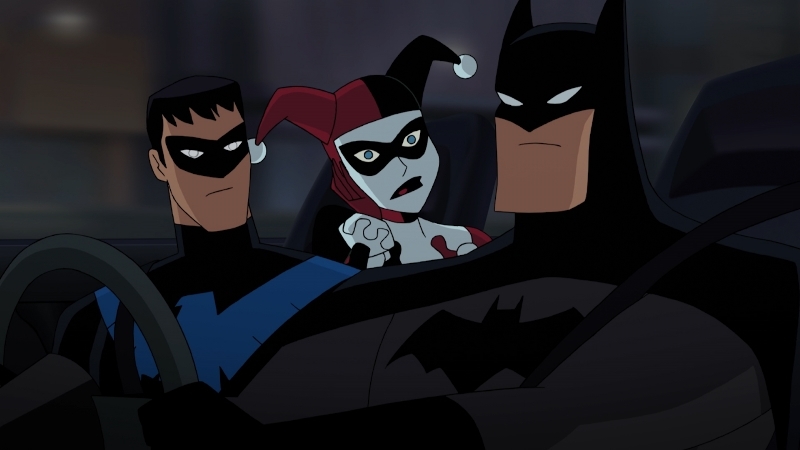 As much as Harley Quinn is still having a moment off the back of Suicide Squad, the animated feature Batman and Harley Quinn is mostly a wasted opportunity. The story includes some great elements that are delivered exceptionally well, but the positives are fighting an uphill battle against fart jokes and other inanities. How the combination came together is anyone’s guess, but it renders the whole a frustrating mix that can’t get out of its own way. 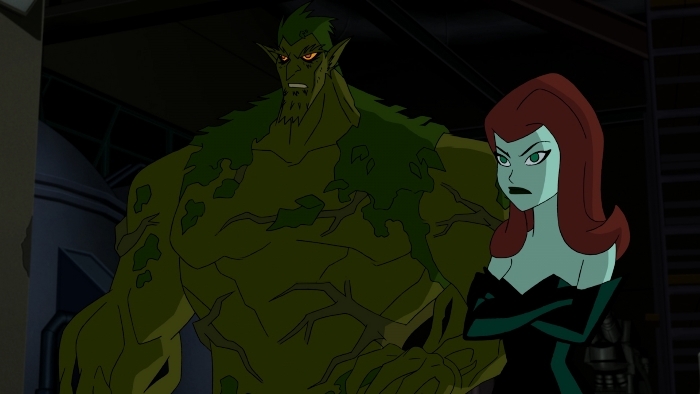 Poison Ivy and Jason Woodrue (The Floronic Man) have a scheme to save the world from the pollution and general pillaging of humans by mutating everyone into plant hybrids. The theory being that people will then have a more vested interest in keeping the world safe. It isn’t a scheme that makes a lot of sense, but crazy people and druid creatures from other dimensions make their own brand of sense. With little to go on, Nightwing is forced to try to find Harley Quinn, being that she is Poison Ivy’s BFF and might know how to find her. Unfortunately, Harley has gone straight after Arkham, and no one knows where she is. He manages to luck into her, but he still has to convince her to help, which is when the plot actually gets pretty interesting. Harley’s specific brand of crazy is home to limitless potential and this is a feature that explores the character, her motivations, and her explanations to herself in some great ways. We then follow Harley’s direction in order to find someone who might have a lead on Ivy, but that takes us to a henchmen bar and involves Harley singing for her supper. The whole thing is shmaltzy and forced, and plays like an afterthought to add runtime more than anything. There are fun notes, but there’s a lot of wasted time on the road to finding Ivy. We ultimately get some interesting battles, and a bizarre and useless cameo appearance by Swamp Thing, but the story ends by asking if deus ex machina is not perhaps an idea that hasn’t been taken far enough. There’s story in here that might have made for a truly great adventure, but the execution is a jumble of theories and efforts that don’t come together. 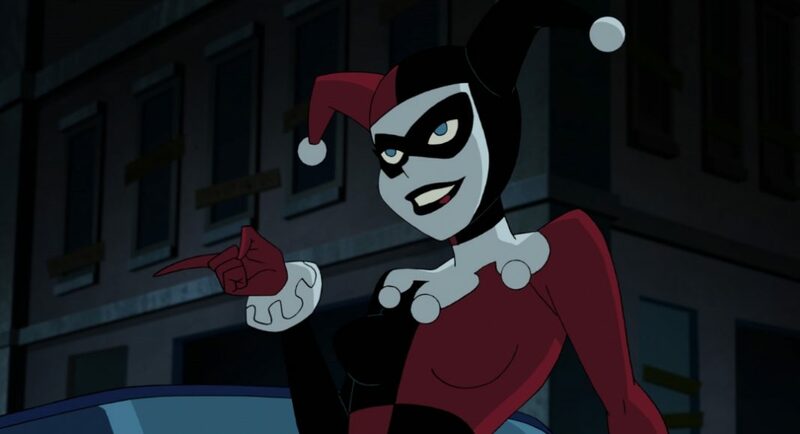 The Blu-Ray does feature some solid bonuses, including a surprisingly long conversationfeaturette about Harley Quinn and the theories behind the character and her possibilities. There are also some bonus episodes of animated shows that feature Harley. Still, it may be worth a watch and the bonuses add some value, but this isn’t one you’re likely to rewatch. 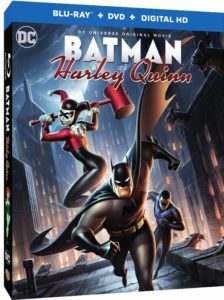 The film features Kevin Conroy as Batman, Melissa Rauch as Harley Quinn, Loren Lester as Nightwing, Paget Brewster as Poison Ivy and Kevin Michael Richardson as Jason Woodrue.